Here's one that my mom always found a way to make during tough times. With this recipe it can be whatever you happen to have on hand that makes it special. 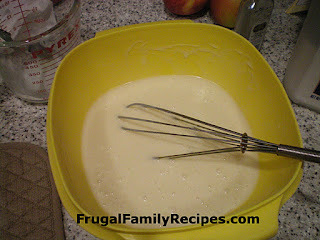 After blending well, make a slight well in the center of the dry ingredients. 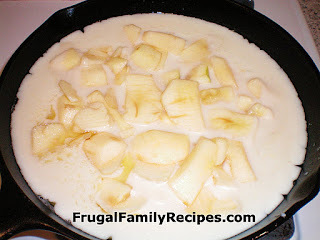 Pour the melted butter from the iron skillet into the mixture. Pour the entire batter into the iron skillet. Pour the fruit of your choice into the middle of the batter. Put into the oven and bake for approximately 1 hour. It may take a little less time, check for doneness. Your pocket book, your taste buds and your children will thank you! Note from Michelle... Hi Carol! 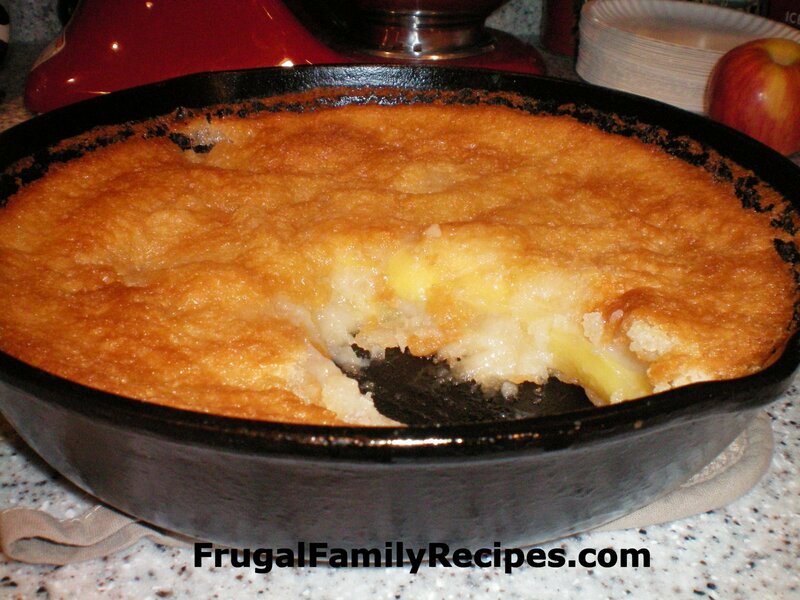 We are big cobbler fans, being from the south, and make it in large pans as well. 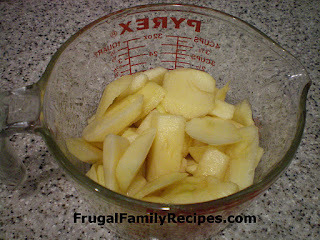 Your recipe can be doubled to make larger quantities for church suppers so I'm listing it under this recipe index too! The batter should resemble pancake batter when you mix it up, I also used almost 3 cups of cut up fresh apples for our filling. I suspect that is what the original cook usually did when she made this cobbler. Other fillings used may produce a thinner final product. And when baking, always be sure your baking powder is not out of date! 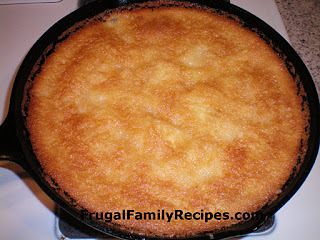 I would also like to add that as with many recipes, cooking this cobbler in the skillet is fantastic!!! I have two iron skillets that I purchased new and seasoned myself when my husband and I first got married, 23 years ago. Actually, one is that old the other one I think I added later on as our family grew. Anyhow, it really makes the cobbler extra crispy and delicious. YUM! This particular recipe is very sweet though; much sweeter than most cobblers. As I said earlier, I think it would be perfectly fine to cut back on the sugar a bit. All photos copyright by Michelle Jones and Blue Ridge Publishing, Inc.